Oh, and a biggie? In The Digital Age, sample pages are the most POWERFUL tool we have for making a sale. Our first five pages can be the most important in the entire book 😉 . And maybe your book has a large cast; that is okay. Just don’t feel the need to introduce them all at once. If I have to keep up with 10 names on the first page, it’s confusing, ergo annoying. Readers (and agents) will feel the same way. 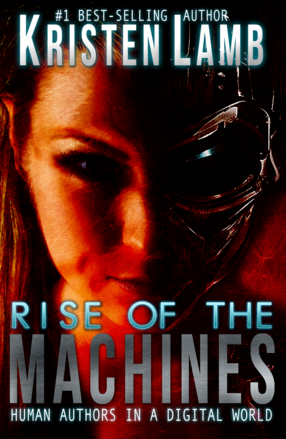 (And, of course, for social media/branding help, there is my book *bats eyelashes* Rise of the Machines—Human Authors in a Digital World).